The dishwasher is one of the biggest luxuries available to modern homeowners, second only to the washing machine. While you still do your scrubbing and pre-wash stages, our dishwashers ensure that each dish that goes through comes out the other side of a wash cycle sparkling clean and safe to eat off of. All it needs is a lot of fast-moving hot water and a little dish soap, no questionably clean sponges or an aching back from standing at the sink for half an hour. These days, they even do a handy drying cycle so you don’t have to worry about putting away damp dishes. While wiping the appliance down doesn’t seem like a troubleshooting step, it really is. Your dishwasher is made of a lot of moving parts, many of which we don’t think about or notice until they stop working. If you can, pull the drawers completely out and give the inside of your dishwasher an incredibly thorough wipe-down. Anything lingering in the nooks and crannies could be contributing to the lack of clean, blocking apart from moving the way it should, or is simply too big to go down the drain. Once you’re done with the inside, make sure to wipe down the outside as well which may have become grimy over time. Check the main pump for any filter mechanism and clean it out as well. It should be accessible without using any tools, otherwise we recommend reaching out to us instead. Your dishwasher needs three things to function properly. Electricity, water, and a way to drain dirty water. If your dishwasher has recently begun to act up, there could be a problem with one of these three connections so make sure to check them carefully. The water should be on and tightly secured, the plug should fit snugly into the wall, and the drain should be lined up and flowing freely. 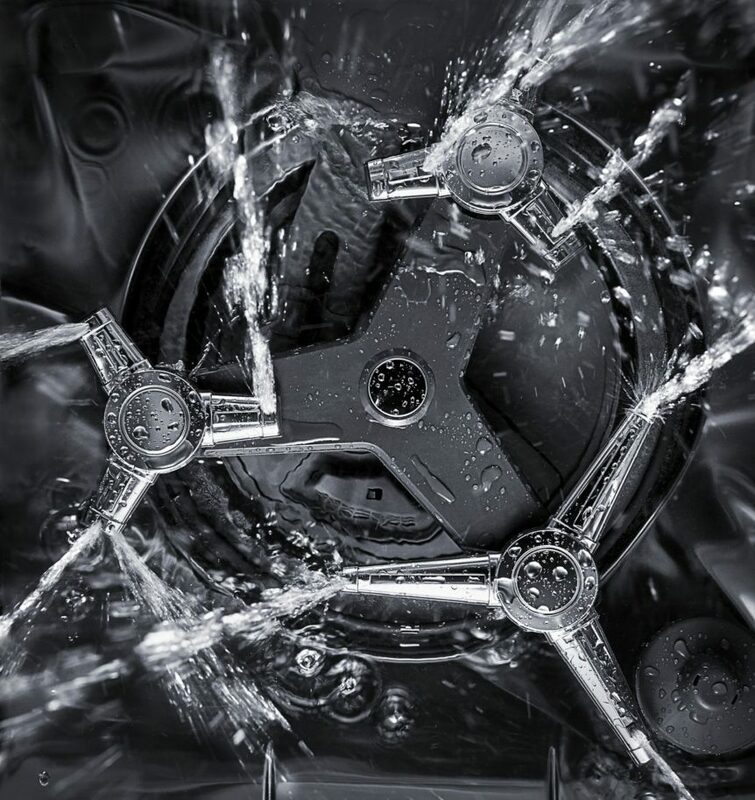 There are two drain areas you should be concerned with for your dishwasher. The one on the inside and the connection on the outside. The inside drain is likely to need the most care as here is where larger food particles that washed off of your dishes will wind up. These particles, along with inorganic things like lost bits of napkin, can clog up your dishwasher drain and prevent the appliance from running properly. Also check the actual drain that leaves the appliance to ensure that it’s not clogged up with a collection of smaller food bits. Dishwashers are built to last, but they’re still mostly made of plastic and sometimes parts break, get stuck, or get sticky with food residue, especially the latches on the door and the soap dispenser. Unfortunately, many dishwashers are also configured not to start if both latches aren’t closed. Check your soap dispenser to make sure it clicks open and closed as intended and then make sure your door is closing all the way. If either don’t latch, check them for obstructions, clean around the latch, and try again. If you’ve checked the connections, cleared the drains, and cleaned your dishwasher thoroughly, there is very little left to do that’s safe to DIY without more in-depth knowledge about appliance repairs. So if none of these steps have seemed to repair your dishwasher, it’s time to call for expert backup. A handy spouse or neighbor might be able to do the trick but when all else fails, remember there are helpful appliance repair services that will come right to your home to help out. For more information about how to deal with broken or misbehaving appliances, contact us today!